Books are available one month prior to the discussion. You may pick up books at the previous meeting, or you may get them at the Main Desk any time the Library is open. Please bring your library card to the meeting to check books out. All books announced are tentative, based on availability of multiple copies. To confirm dates, book selections, or for more information call the Library. In 1921 a newly minted physician, Andrew Manson, arrives in a tiny Welsh mining town to begin practicing medicine. This novel follows his rise to London’s Harley Street where money and prestige have become his guiding principles. This classic novel is known for its groundbreaking treatment of the topic of medical ethics, and has been credited with laying the foundation for the British National Health Service. His full name was Archibald Joseph Cronin. Many of Cronin's stories were adapted for film, TV, and radio. 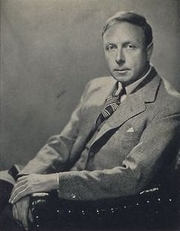 A. J. Cronin is currently considered a "single author." If one or more works are by a distinct, homonymous authors, go ahead and split the author. A. J. Cronin is composed of 25 names. You can examine and separate out names.